Time Bandits 1 dias D, 11h: 46m: 57s £11,95 Hemen al! Ghostbusters 1 dias D, 11h: 46m: 57s £9,95 Hemen al! Winter Games 6 dias D, 15h: 41m: 58s £5,95 Hemen al! International Karate 6 dias D, 15h: 45m: 03s £4,35 Hemen al! Fire Rescue 6 dias D, 15h: 46m: 03s £11,95 Hemen al! Journey To The Centre Of The Earth 7 dias D, 19h: 46m: 52s £3,95 Hemen al! Jet Set Willy 7 dias D, 20h: 00m: 05s £4,95 Hemen al! Jet Set Willy 7 dias D, 20h: 00m: 05s £7,95 Hemen al! Manic Miner 7 dias D, 20h: 00m: 05s £4,65 Hemen al! 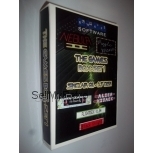 Manic Miner 7 dias D, 20h: 03m: 08s £4,65 Hemen al! Manic Miner 7 dias D, 20h: 04m: 08s £4,65 Hemen al! Manic Miner 7 dias D, 20h: 05m: 10s £4,65 Hemen al! Jet Set Willy 7 dias D, 20h: 05m: 10s £7,95 Hemen al! Harvey Smith - Showjumper 7 dias D, 20h: 32m: 20s £3,25 Hemen al! Les Flics 8 dias D, 07h: 00m: 05s £6,95 Hemen al! Time Bandits 8 dias D, 07h: 01m: 11s £11,95 Hemen al! King Size (Compilation) 8 dias D, 07h: 01m: 11s £9,95 Hemen al!